(Nanowerk News) In a study that could improve the safety of next-generation batteries, researchers discovered that adding two chemicals to the electrolyte of a lithium metal battery prevents the formation of dendrites – “fingers” of lithium that pierce the barrier between the battery’s halves, causing it to short out, overheat and sometimes burst into flame. 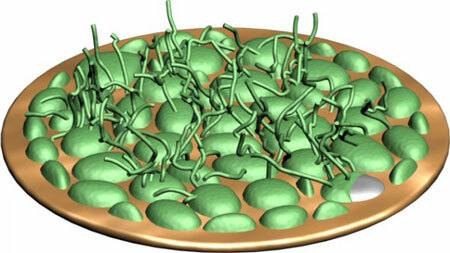 This illustration shows deposits that form on the cathode of a lithium metal battery. When lithium nitrate is added to the electrolyte (green image), destructive “fingers” of lithium metal, known as dendrites, grow on the surface. The findings, published June 17 in Nature Communications, could help remove a major barrier to developing lithium-sulfur and lithium-air batteries, promising future technologies that could store up to 10 times more energy per weight than batteries now used in consumer electronics and electric cars. Dendrites form when a battery electrode degrades, and metal ions become deposited on the electrode’s surface. When those finger-like deposits elongate until they penetrate the barrier between the two halves of the battery, they can cause electrical shorts, overheating and fires. In a previous study published last October, Cui and his colleagues reported that they had developed a “smart” lithium-ion battery that senses when dendrites start to puncture the barrier so the battery can be replaced before the situation becomes dangerous. This could offer a solution for millions of batteries now in use in cell phones, laptops and other devices, as well as in electric cars and airplanes. 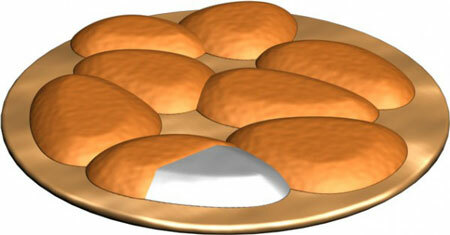 When lithium polysulfide is added in addition to lithium nitrate, harmless pancake-like deposits form instead. 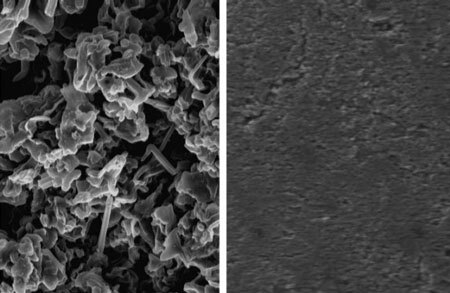 The new research addresses battery technologies that haven’t reached the market yet, and it takes a different approach: adding chemicals to the electrolyte to prevent dendrite formation. One compound, lithium nitrate, has been under investigation for a long time as an additive to improve battery performance. The other, lithium polysulfide, has been considered a nuisance: Formed when a sulfur electrode degrades, it travels to the lithium metal electrode and wrecks it, Cui said. In brainstorming sessions, the research team realized their combined effect had not been studied before; together the chemicals could potentially react with lithium metal to form a stable, solid interface between the electrode and the electrolyte. They assembled coin cell batteries, similar to the ones that power calculators, remote controls and watches, and added various concentrations of the two chemicals to the ether-based electrolyte. Then they ran those batteries through many charge/discharge cycles, took them apart and examined the electrodes with an electron microscope and an X-ray technique that reveals their morphology and chemical composition. They found that adding both chemicals in just the right amounts stopped lithium dendrite formation; harmless pancake-like deposits grew there instead. The lithium metal acquired a stable coating that helped protect it from further degradation and actually improved the battery’s performance. Images from a scanning electron microscope show the surfaces of battery anodes after 100 charging cycles. Adding a combination of two chemicals suppresses dendrite growth, top; when only one of the chemicals, lithium nitrate, is added, dendrites cover the surface (bottom). In tests, batteries with both chemicals added operated at 99 percent efficiency after more than 300 charge-discharge cycles, compared to significantly decreased efficiency after 150 cycles for batteries treated with lithium nitrate alone, said Fiona (Weiyang) Li, a postdoctoral researcher in Cui’s lab and first author of the paper. Yet-Ming Chiang, a professor at the Massachusetts Institute of Technology, collaborated with the team and helped them interpret their results. He said the next step is to see if this approach can prevent dendrite formation in larger-scale cells that are closer to being practical batteries. It may also work for electrodes made of other metals, such as magnesium, calcium or aluminum, that also have potential for storing much more energy than today’s batteries. “Preventing dendrite formation is going to be key to their success,” Chiang said.